* Supporting the Library’s mission by providing exceptional customer service. Other library employment resources helpful to those in our area include the Northeast Ohio Regional Library System  employment page as well as the Ohio Library Council's Jobline . 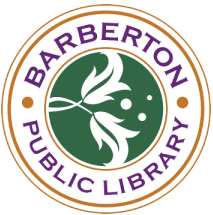 Students seeking internships or practicum experience should email the Library's Director, Ann Hutchison, at ann.hutchison@barbertonlibrary.org . Individuals must be currently enrolled in a degree program in order to request an internship or practicum.